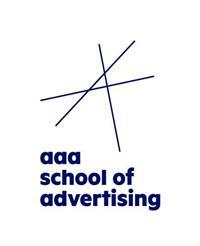 The AAA School of Advertising in Johannesburg is hosting an Open Day from 10.00am – 12.00pm on Saturday 31 May 2014, inviting young and talented individuals wanting a creative and dynamic career to explore the opportunities in advertising and marketing. The school specialises in the fields of graphic design, art direction, copywriting, account management, brand management, strategic planning, digital planning and media management, with many of its graduates now seated as the award winning thought leaders of the profession. AAA School CEO Ludi Koekemoer will present a 60 minute session to potential students and their parents at 10am. The session will provide insights into the advertising business, the array of career opportunities and the range of degrees, and specialisations offered by the school. Assistance will also be offered on how to enrol at the institution. The AAA Open Day allows prospective students considering a creative career the unique opportunity to engage with lecturers and department heads. This is an invaluable opportunity to prospective students and their parents as it allows them to make an informed decision on choosing a career in the advertising industry. All are welcome to attend the session and are encouraged to also take the opportunity to view the school environment, peruse the award winning work from past and current students and discuss curriculum options with our alumni and staff. If you are not sure what you want to study and would like some assistance in making your decision, join the AAA for psychometric testing at 12:00pm. The informative and effective testing will help you find your direction. The test is available to all and costs R390 per candidate. Article issued by AAA School of Advertising. To view their profile on SAstudy, click here.